Sitting quietly, from the corner of my eye I spotted a light. 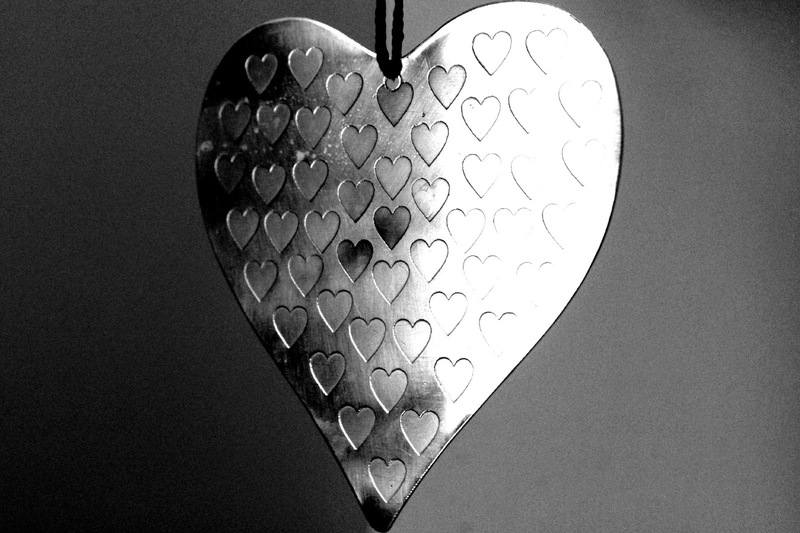 My metal heart, swinging in a draft, caught the Spring sunshine shining through the window. Today I nominate Mascara and Mud. Beautiful photo - love the light and the shadows on the heart and the way the black and white really brings them out.